More than 70% of elders are targets of fraud each year, resulting in nearly $38 billion dollars in fraudulent activity towards seniors. 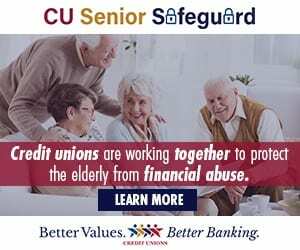 A new program called the ‘Credit Union Senior Safeguard’ (CCUA) is helping to mitigate seniors from being targets of financial abuse. This new program educates and gives the information necessary to keep yourself and your family safe from fraudulent activity.